We tell you about things like Houston’s best brunches, finest burgers, and even all of the foods you should eat before you die. But now, we’re taking things to the next level with Eat Seeker -- a list we’ll be updating every couple of months that includes our picks for the best restaurants in Houston at this very moment. We break it down into two sections. 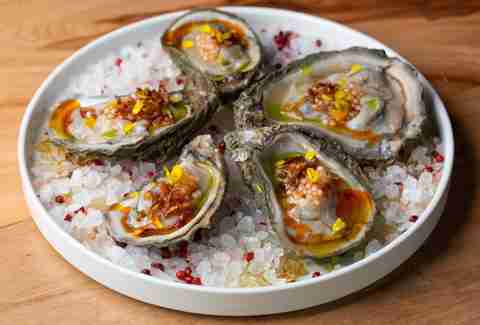 Section one is made up of our picks for the Best New Restaurants that have opened in the last few months, the most buzzworthy and hip. Section two will be loaded with all of Houston’s tried and true. Those places that helped to define what a food scene could be in Houston. Wherever you choose to go, just know we would never steer you wrong. Chef and restaurateur Ronnie Killen already pulled off the Triple Crown, with beef, burgers, and barbecue under his culinary belt, and that was all before loosening said belt another notch by adding more smoke in the form of Killen’s STQ. Now, the Texas native and recent recipient of a James Beard nod is making Houston proud with his thoughtful take on our region’s most classic cuisine, Tex-Mex. Pecan-smoked and adobo-sauced barbacoa short rib, flame-grilled achiote marinated grouper, and crispy-skin, chicharrones-style pork belly are just some of the standouts on this killer menu (along with moles, salsas, and tortillas made from-scratch, of course). With its roots in a roadside outpost in Brenham, Truth made big waves when it was snagged the No. 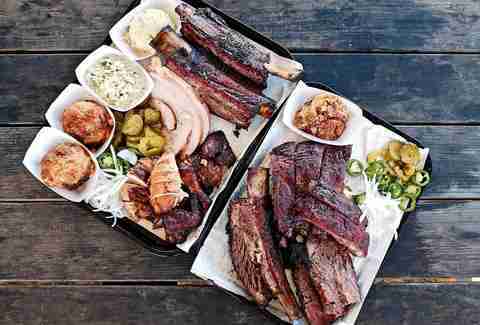 10 spot in Texas Monthly’s roundup of the Top 50 BBQ spots in Texas. But it rightfully had many fans well before that. Pitmaster Leonard Botello IV did us all a favor when he looked to Houston for his next expansion. 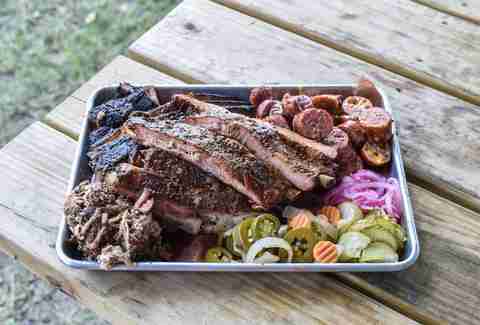 Now, local barbecue enthusiasts get get their fix without the drive to Central Texas, filling up on fatty, 18-hour-smoked brisket and succulently-crisp burnt ends, moist, peppery pork ribs, and sides from a dreamy mac & cheese to old school Tater Tot casserole. Save space for the daily selection of monster-sized, multi-layer cakes by the slice. Houston’s food hall takeover continues with the opening of this fresh-faced haunt, which rocks soaring ceilings, a cool, Art Deco space, and 10 independently operated eateries. Build the ultimate smorgasbord with tongue-scorching red oil dumplings from Mala Sichuan, raw seafood towers from Low Tide, lamb chorizo fries from Oddball Eats, and a Kosher as Christmas meat-loaded pizza pie from Mr. Nice Pie. Eat it all alongside craft brews from the beer bar, or sit up in the Swallow’s Nest cocktail bar for an elevated, full-service experience. Part restaurant, part bar, and part pop-up factory, the former Beaver’s space now hosts a rotating selection of chefs-in-residence. First up, chef Evelyn Garcia, who shows off her distinctive approach to southeast Asian cuisine via the flavors from her Latina heritage -- think coconut jasmine rice, Thai chili roasted fish, and ginger oxtail curry. The supremely talented Leslie Krockenberger is in charge of the bar, offering local craft brews, wines, and expertly prepared cocktails like the banana chip-infused Banana Stand. It doesn’t get much more “Houston” than a Chinese- and Vietnamese-American-owned smokehouse telling the true story of Houston barbecue. 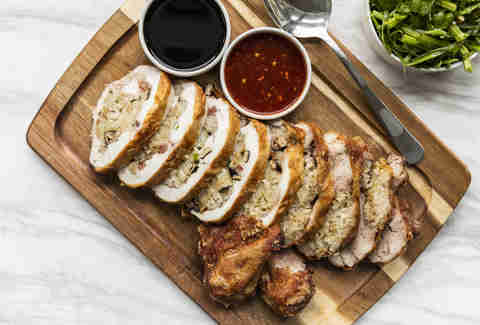 Here, Alief natives and “blood brothers” Robin and Terry Wong and Quy Hoang take their popular side hustle to the next-level with locally-inspired flavors and the very best cuts from Texas farms, including Black Hill Meats and 44 Farms. Aside from the flawlessly executed holy trinity of brisket, ribs, and sausage, we’re talking special offerings from gochujang beef belly burnt ends and smoked turkey banh mi to Thai green curry boudin. Houston’s most intriguing restaurant comes from chef Jonny Rhodes and his wife Chandra, where the power couple looks to not only feed you fantastic food, but to use that food to guide you on a journey through history. 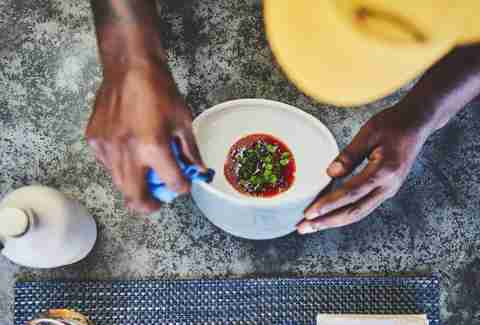 Here, Rhodes dreams up thought-provoking neo-soul food that explores the roots of the African American experience, including a food movement that managed to flourish even in dark times of slavery and oppression. Reserve a seat at the 13-top communal table for a guided tasting of herbivore, omnivore, and carnivore menus, with ever-changing dishes from an emulsion of candied yams with smoked pecan butter to mollusk and wild boar gumbo. And be sure to dress up for the occasion. Chef Austin Simmons (Cureight) has another place to show off his superlative talent in the kitchen, this time at the recharge of the old Hubbell & Hudson Bistro. Here, Simmons takes charge by combining global flavors with classic technique, from the raved-about Korean butter-poached crab and kimchi pancake pairing to an over-the-top four-person steak board featuring 5 different cuts of meat: Black Angus, Texas Certified Akaushi, Wagyu, and Japanese Black Wagyu. And if you’re a sucker for a good burger, stop by for lunch. Tris’s comes hard with two smashed and juice-dripping Akaushi Wagyu patties, bacon jam, and American cheese and iceberg lettuce on a toasted English muffin. Named after a Matagorda Bay ghost town that was once a historic port of entry for Texas, Indianola is part of the trio of fresh concepts from Agricole Hospitality (Revival Market, Coltivare, Night Heron, the cocktail bar Miss Carousel, and pizza joint Vinny’s). Here, modern American food is celebrated through chefy interpretations and worldly influences -- crispy duck wings with fresno chili, ricotta gnudi with blistered tomatoes, za’atar-spiced wood-grilled cauliflower, and a Texas Wagyu burger on a cheddar-jalapeño bun. Whatever you do, start with the house-made sourdough with sea salt and cultured butter. Note: the newly-opened restaurant started as dinner service only, with plans to open for breakfast and lunch shortly. Chris Shepherd has proved his love of cooking -- meat, specifically -- time and time again. There was Underbelly, where he championed a nose-to-tail program, and One Fifth Steak, the first iteration of his changing concept restaurant that started the meal off with Wagyu beef fat candles and finished with a big ol’ cast-iron steak. 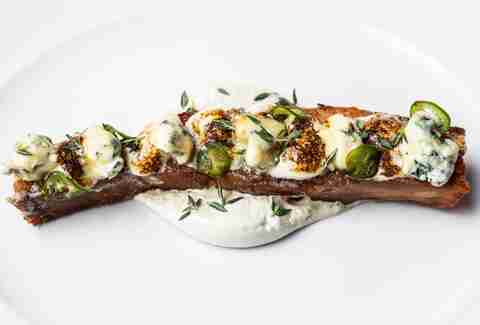 Both concepts may be over, but Shepherd’s still got steak on the mind, and this time he’s doing it big at Georgia James in the old Underbelly space. 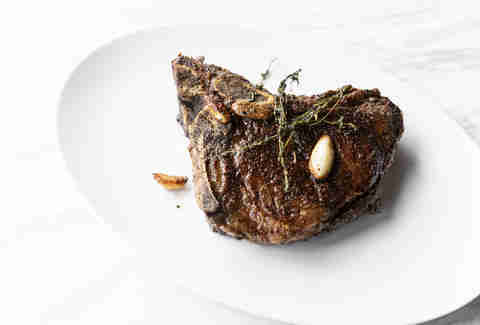 He and his crew (which includes culinary director Nick Fine) dreamed up a menu focused on quality, technique and fun -- steaks are dry aged in-house and cast iron seared, a barbacoa-style 44 Farms Short Rib is marinated overnight, smoked and braised until seriously tender. And add-ons like the “Lamburger Helper” and roasted Gulf oysters swimming in bourbon barrel-aged hot sauce butter are next-level sides. Can’t decide what to order? Go for the “Baller Board,” a truly fantastic chef’s pick ‘em that is sure to leave you satisfied. Court-bouillon grand-mère. Blue crab tartine. Dirty “duck duck” rice. It’s all on the menu at this high-class meets the Dirty South spot. 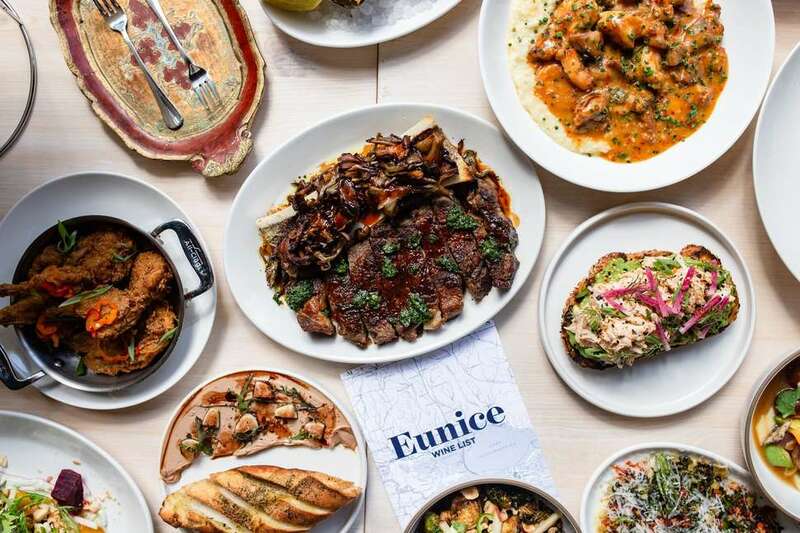 Helmed by internationally-trained chef Drake Leonards (whose pedigree includes Nola hotspots like August, Domenica, and Shaya), Eunice is a visual stunner, with a striking U-shaped quartz-topped bar, soaring windows, and Live Oak-shaded patio. The sensory overload continues as you ease into the meal, sopping up every last drop of your New Orleans BBQ lobster and toast, and etouffee over handmade campanelle pasta. 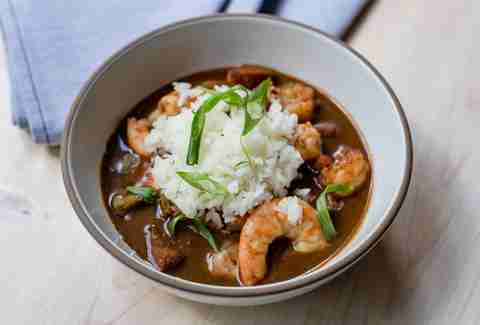 Housed in the former Triniti space off South Shepherd, this New Orleans import feels right at home in the Bayou City. 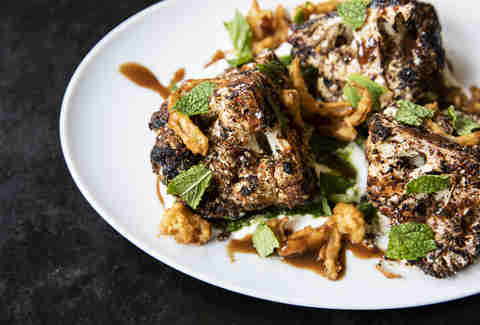 The chic steakhouse veers away from the norm, instead playing on its Middle Eastern heritage via dishes like sweetbreads decorated with beautiful pearls of yogurt, tahini-kissed Jerusalem cauliflower salad, and a 24-hour, fall-off-the-bone "shpondra" (short rib) finished with smoked tomato au jus. 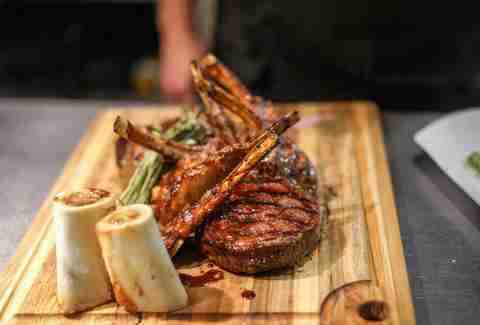 Since it’s still a steakhouse, you’ll also find top quality cuts of beef (from prime bone-in ribeye to Japanese A5 Wagyu), each rack dry-aged in a show-stopping meat locker complete with a chandelier. Soulful comfort foods go ‘round the globe at this popular EaDo haunt, which opened in late 2017 and has been drawing in crowds until the wee hours of the night ever since (by the wee hours, we totally mean midnight because we’re old now). And it just so happens to be the perfect excuse to have pancakes for dinner. Here, the namesake Nancy Cakes are served as a small plate, light and fluffy with a side of whipped butter and smoked trout roe (get two orders if you plan on sharing). Parlay that with the lamb dumplings, delicate little pasta pockets stuffed oh-so-carefully with lamb and finished with spicy tomato vinaigrette, labneh, and lamb jus. Bigger plates come in the form of roasted snapper, duck breast l’orange, and a deservingly hyped burger on a brioche English muffin bun. Sushi chef Mike Lim made a name for himself at last year’s Roka Akor (and before that San Francisco’s Roka Akor and Morimoto in Napa), and he’s brought his skills to the perhaps the most unlikely place in Houston: Katy. 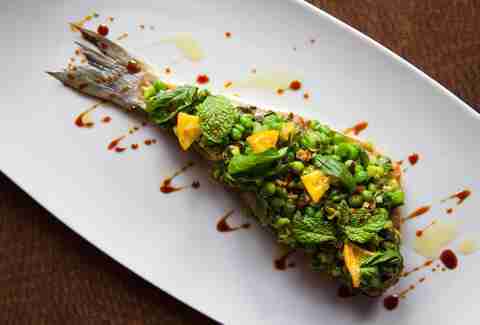 The suburb is becoming a dining destination thanks to his artful, A-list treatment of classic Japanese dishes and flavors -- his fish aging program works to extract and intensify those flavors in the way steakhouse dry-aging program would. Treat yourself to a worth-the-splurge omakase, or bring a crew and share uni flights, tableside foie gras kissed with applewood smoke, bone marrow, and tastings of bluefin. Time to stop saying Houston goes unnoticed, because we now have ourselves our very own Nobu (sup De Niro?). Open on the second floor of the former Saks Fifth Avenue in The Galleria, this HTX edition combines restaurant signatures like the miso black cod and jalapeño yellowtail sashimi with Houston-inspired dishes and cocktails. 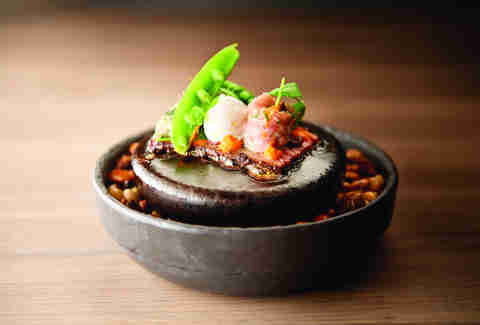 Take, for instance, the Sakura Smoking Pot with cherry blossom-smoked Japanese A5 Wagyu. Or the emphasis on locally sourced fish, as seen in specials like the Gulf red snapper tempura. Expect to crack your wallet wide open for this buzzy, high-end experience, and crack it open even further if you want the omakase. Over in the Washington Avenue Art District’s Sawyer Yards, Poitín is the brainchild of restaurateur and Dublin native Ian Tucker (who also owns Balls Out Burger). Tucker embraces his immigrant spirit with the help of chef Dominick Lee (former sous chef at Kiran’s), executing a menu with influences from Houston to the culinary capitals of the world. 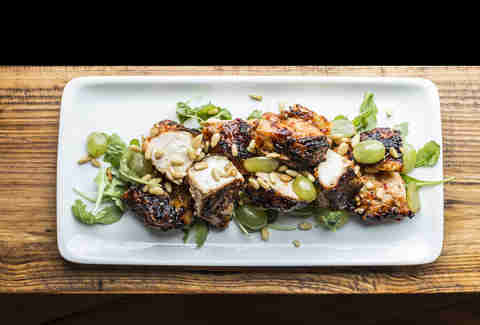 Most recently, the restaurant has moved in a Southern direction, showcasing eats like baby beets with New Orleans cream cheese, citrus-kissed beef cheek with spoonbread, and cornmeal-breaded Gulf catfish. Don’t miss the Sunday Roast, a “carve-it-yourself” family-style meal worth of closing out the weekend with. Opening its doors in May of 2018, chef Chris Shepherd’s new spot is a hot take on the now defunct Underbelly, telling the story of Houston food without the self-imposed restrictions of nose-to-tail cooking. 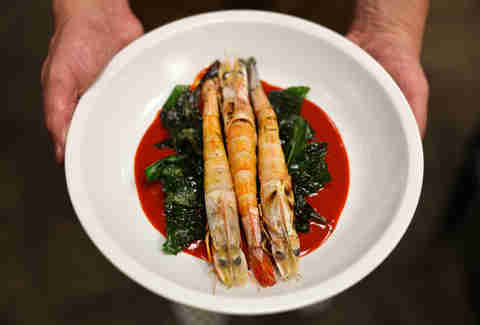 Now in a different, smaller space on Westheimer with chef de cuisine Nick Wong (formerly of New York’s Momofuku Ssäm Bar) manning the kitchen, this evolution of Underbelly continues UB’s mission of showboating Houston’s diversity. 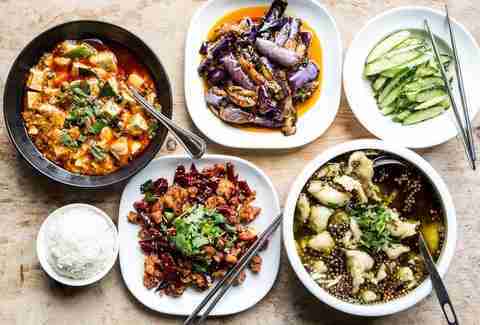 Share plates of duck egg curry, crispy rice salad, and queso fundido made with blood sausage and pork fat tortillas; or try Sunday’s dim sum-style brunch, which brings turkey neck molotes, wild boar gyoza, and smoked trout hash browns into the mix. When you’re done, take Shepherd’s suggestion and use this as a jump-off point, paying a future visit to the inspirations listed on the leaflet you get with your check. In early 2014, Revival Market's Ryan Pera and Morgan Weber brought us this fresh-from-the-garden restaurant that puts a welcome spin on traditional Italian foods. Think arancini and house charcuterie, whole-roasted fish, flawlessly executed cacio e pepe & oxtail sugo, and bubbling, wood-fired pies. Five years later, this ticket is still hot as ever. The bad news is, it still doesn’t take reservations. The good news is, you can sip on a few of Weber’s classically inspired tinctures while you wait, and the restaurant recently snagged a lease on the space next door so a new concept may be on the rise. 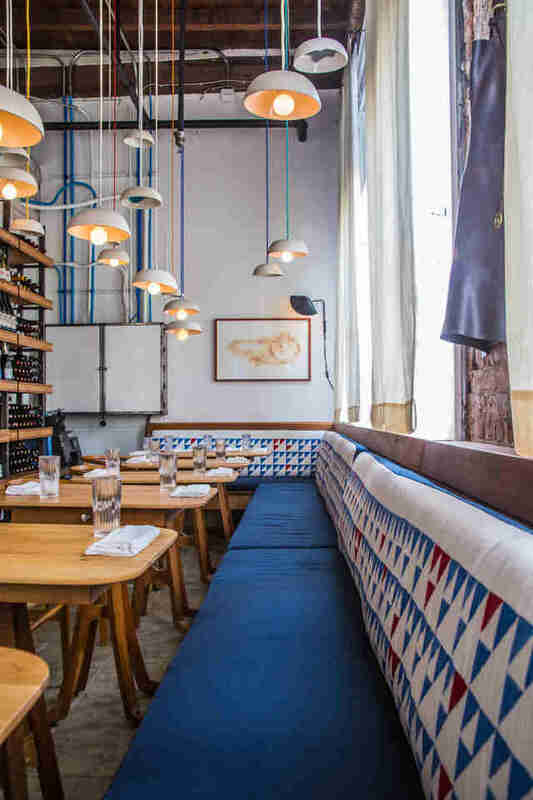 This powerhouse restaurant and big brother to Helen in the Heights will flip the switch on everything you thought you knew about Greek food. Game changers like the massive pork shoulder build-your-own gyro plate and the second-largest Hellenic wine list in the US ensure you’re in for way more than a simple meal, and chef William Wright’s latest menu revamp features an exploration into Crete -- think grilled octopus with red wine and grape molasses, risotto-style Cretan wedding rice, cheese pie with housemade phyllo, and rabbit “porchetta.” The unfamiliar wine list offers recommendations like “I know this is technically terrible to say but this wine will make you forget how awful your relatives are.” Though if you need more help than that, the staff is more than eager to recommend stunners to suit your tastes. 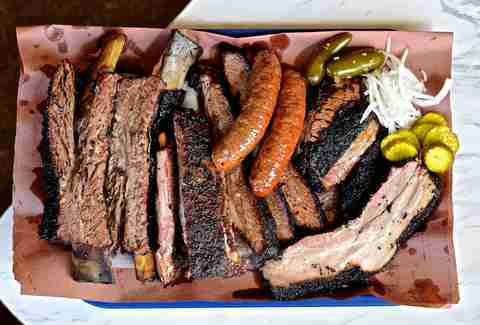 Killen's Barbecue, along with its three follow-up concepts, covers all the bases of Texas’ Holy Trinity of meat: Smoke, Burgers, and Steaks (oh, and Smoke & Steaks). At the Pearland barbecue temple, King of 'Q Ronnie Killen and his team pump out over 2,000 pounds of smoked meat per day. 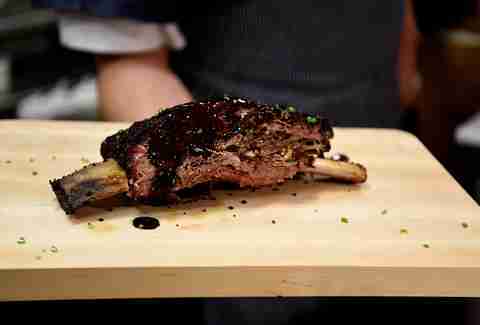 To say that his unctuous, Bronto-sized beef ribs are great is an understatement. But you’ll be sorry if you skip out on things like the tender bone-in pork belly, 24-hour brined fried chicken, and beautifully marbled American wagyu gold-smoked brisket from Snake River Farms. Last year, the smokehouse extended its hours to 8pm Sunday-Thursday and 9pm Friday-Saturday, though you’ll want to show up early if you want first dibs. 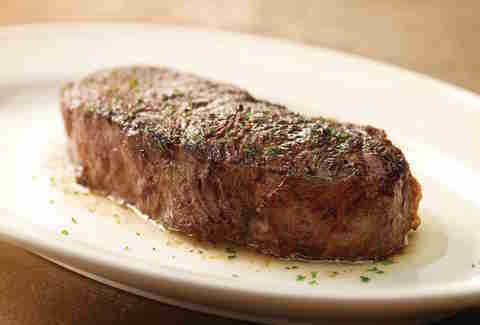 With two Houston locations at which you can fashion a lobster bib out of your fancy cloth napkin (Downtown and Galleria), this homegrown steakhouse is the place to bring anyone you want to impress (although, if that’s the case, maybe don’t do that lobster bib thing). 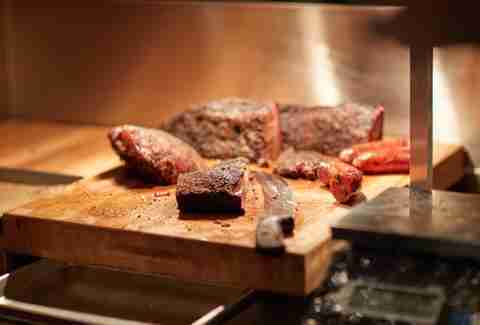 But you really should come here for the steaks, which are butchered and aged in-house using a more than 28-day dry process that concentrates the flavors and makes the beef so incredibly excellent that you’ll want to save all your change to come back for more. Don’t miss the stellar wine program, or the whiskey cart, which houses selections cherry-picked by Anvil alum and bar director Matt Tanner. Two-faced in the best way possible, The Pass & Provisions in Montrose offers you a choice between a more refined experience or a more relaxed one. The Pass will serve you polished tasting menus over a white tablecloth; earlier this year, the team revamped the format to provide a more approachable, fluid dining experience with a supplemental five-course tasting menu as opposed to its former nine-course experience. While on the other side, Provisions will provide hearty pizzas, pastas, and shared bistro plates in more rustic surroundings. Some serious cocktail and wine programs push the two restaurants to the next level, as does Julia Child's Muppet voice playing on repeat in the unisex bathroom. Atlanta restaurateur and Houston native chef Ford Fry has brought his culinary magic back home with this modern, globally and coastally inspired lodge. Here, executive chef Bobby Matos mans the kitchen (and the giant, wood-fired hearth) as it pumps out things like Thai curry Spanish octopus, wild boar Bolognese and duck carnitas for two (next to a seriously excellent oyster program). Considering it also offers an egg-topped butter burger and cream cheese-frosted cinnabuns at brunch, you’re going to want to get here. This Austin import has become a local standby thanks to a sophisticated, upbeat spirit that is wholly Houston. 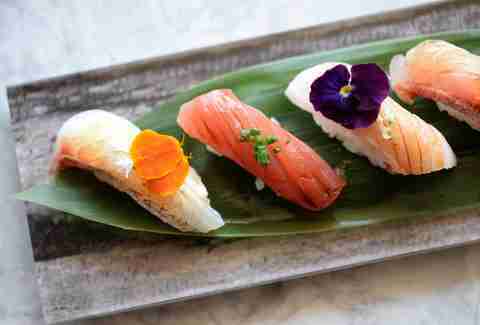 Even sushi traditionalists will be tempted by the razor sharp cuts with funky, outside-the-box adornments and dishes that run the gamut from pork belly tataki to foie nigiri. If you’re having trouble deciding, go for the 10-course chef’s tasting. It may have been around for a while now, but this sultry spot’s not leaving the hot list anytime soon. Fresh off snagging the No. 7 spot in Texas Monthly's 50 Best Barbecue Joints in the State, this hometown hero is well worth the quick trip out of the loop. The cult favorite started with humble beginnings in a no-frills pink-and-black trailer, co-owned by married all-stars Will and Nichole Buckman. Today, the slightly bigger pink-and-black brick & mortar remains just as humble. With a silky, perfectly rendered cap and crusty, blackened bark, the moist brisket here is one of the finest BBQ specimens in Houston. Get to Old Town Spring to blissfully destroy some, alongside stupendously blistered ribs, overloaded taters, and snappy pork sausage. Part smokehouse, part live-fire steakhouse, this relaxed space from revered local chef Ronnie Killen took over the former Bramble spot at the end of 2016. 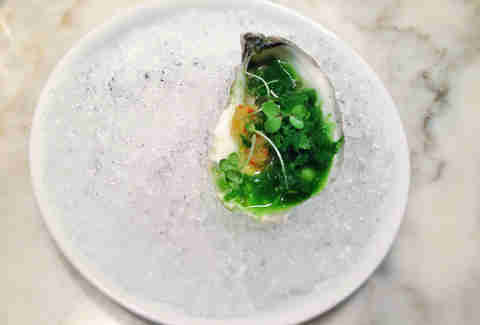 After a half dozen months of success, Killen tapped Graham Laborde (previously of Bernadine’s) as operations chef for all Killen’s restaurants, thanks to his serious seafood savvy and fine-dining skills. Now you can mix and match delicious menu items, including pecan smoke-kissed pork belly, rendered and glistening with cherry habanero glaze; roasted corn ravioli swimming in a corn milk you’ll most certainly be spooning up; grilled Gulf snapper dripping in a crawfish butter you’ll also be scooping up; and specials like a massive (and intensely seared) long bone-in wagyu rib eye special that clocks in at 48 ounces. Maybe share that one. You’ll want bacon tres leches bread pudding for dessert. Houston’s coolest restaurant isn’t really a restaurant. It’s five of ‘em. The game changer from local hero chef Chris Shepherd literally changes what it is once a year for five years. First up was One Fifth Steak, under the careful direction of the incredibly talented chef de cuisine Nick Fine (if you missed the Wagyu beef fat candles, chef-calls-it Ballers Board and flawlessly executed steaks, have no fear, you just may see them again at the upcoming Georgia James). Up next, it was One Fifth Romance Language, inspired by French, Spanish, and Italian fare and with a gone-too-soon duck heart bolognese that the city is still collectively mourning. 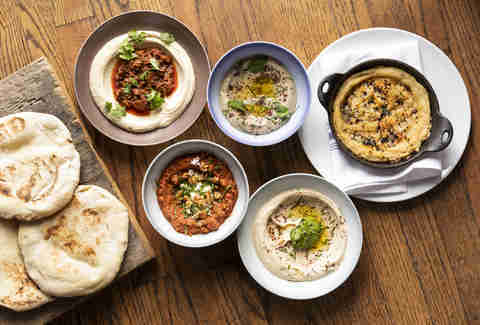 One Fifth Mediterranean opened its doors September 1 and lasts through July 31, 2019, shifting the focus to the foods of Greece, Turkey, Israel, Lebanon, and the Middle East. Manitoba born chef Ryan Lachaine (Underbelly, Reef) named his solo stint after Louis Riel, the founder of his native province. You’ll see Canadian influences, as well as traces of Lachaine’s Ukrainian heritage speckled throughout his unpretentious menu offerings, which get fired off from a showstopping open kitchen. Even the lowly beet is elevated at the Montrose stunner. It comes in the form of a velvety, bright magenta borscht (seasonal) that’s perfectly tart and kissed with some smooth crème fraîche. The simple Redneck Cheddar and potato pierogi are highlights as well (despite the fact that they actually serve as a side for an incredible hanger steak, along with perfectly-balanced horseradish cream). 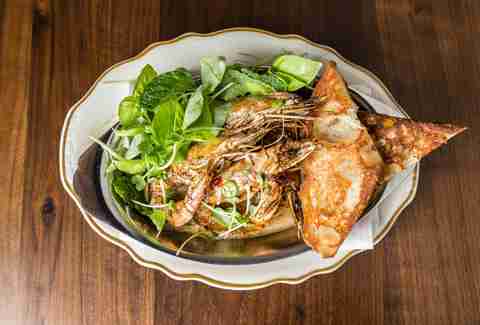 Of course, Lachaine’s Third Coast background also shines, especially through dishes like the kimchi-laced tempura cauliflower. James Beard Award winner Justin Yu may have shut down the highly revered Oxheart in 2017, but he wasn’t done with the space inside the historic Erie City Iron Works building. No longer confined by strict tasting menus, Theodore Rex (named after Yu’s nephew, Teddy) shows off a playful new look, new chef de cuisine (Jason White) and new a la carte menu, setting the tone for a new kind of dining -- one that mesmerizes with simple plates of pan con tomate and cauliflower braised in Bordelaise sauce in the same way as it does with hearty mains like the Texas wagyu roast strip. Note: The menu will change often due to “availability, quality, and boredom,” so come prepared. In 2017, Houston’s most deserving chef, Hugo Ortega, finally earned a James Beard Award after being a proverbial bridesmaid for five years running. 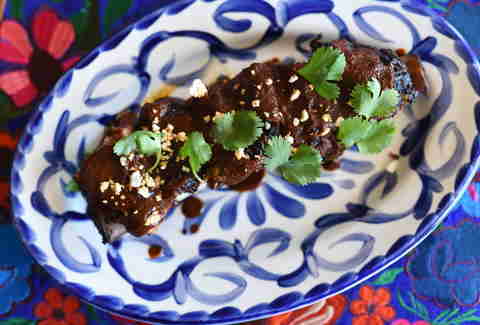 That’s thanks in part to his latest concept, the sleek Oaxacan paradise that is Xochi. There, a labyrinth of moles (from the deep and earthy to the smooth and mellow) muddle with unexpectedly pleasing touches like chicatanas and chapulines (that’s ants and grasshoppers, by the way). Just as thoughtful are the house-made masa preparations showcasing endless types of corn and topped off with wood-roasted octopus, roasted pork rib and chorizo ismeño; as wells as homemade chocolate desserts from Hugo’s pastry chef brother, Ruben. Drinks come from the masterful Sean Beck, who’s built a wonderful library of agave-focused cocktails and interesting wines to pair with it all. 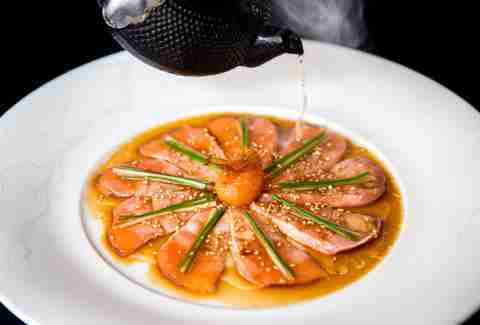 Locals take notice when a London import with a Michelin star makes its way to town, which is why Yauatcha has been one of the hottest tickets around since opening its doors in the luxury Jewel Box building this spring. 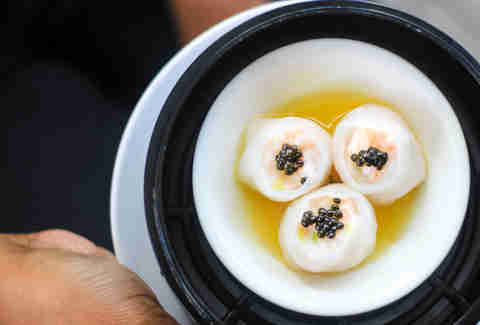 The Chinese dim sum teahouse offers a more upscale experience than pretty much all of the city’s other dim sum concepts, and although that experience comes with an uptick in price, many find shelling out the extra cash totally acceptable. Unwind over delicate, artful preparations of classics from scallop shui mai dressed with silky orange tobiko caviar to a matcha and yuzu tart that is just as tasty as it is beautiful. 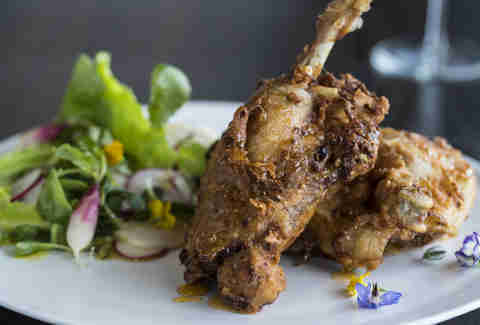 The Heights got a French infusion thanks to this chef-driven neophyte, set in former Black & White space on Studewood. 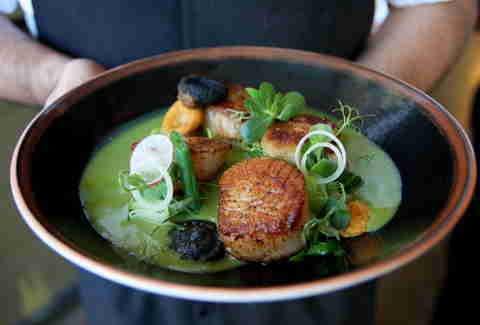 The eclectic restaurant is the culmination of a 20-year dream for chef Manuel Pucha (formerly La Table), showcasing French cuisine with touches from Pucha’s rich Ecuadorian heritage. It’s a family affair, here, with co-owners and brothers Victor (pastry chef) and Cristian (front of house) getting into the mix. Dine on sophisticated classics -- bouillabaisse, wagyu frites with béarnaise, canard confit -- alongside unexpected jewels like the Ecuadorian shrimp ceviche, Peruvian tiradito, and ponzu crab.